Managed IT services provides a small and medium-sized business a lot of value. Not only do they proactively monitor and manage a company’s network and infrastructure, they often come with a variety of other services they perform to build their value. The cost of managed services is typically per system or per user and is billed once per month. Managed Service Providers (MSPs) also often come with relationships to OEM vendors, putting a business in an advantageous position by giving them access to some of the top technology solutions on the market. Beyond the access to great technology resources an MSP can provide your business, it’s technicians are the real stars. Any IT technician worth his/her salt understands that companies waste more money in downtime than they do purchasing products/services that don’t work. By keeping a network and infrastructure up and running smoothly, more gets done, and more revenue is generated. As far as getting a return for your managed IT services investment, it really won’t take long. If you consider how much you would pay a break fix company to repair hardware, how much you would pay an in-house IT technician, how much downtime you would avoid, and how much more you would pay for hardware and software, the moment you sign the service agreement, you are making a play to improve your business, from end-to-end. 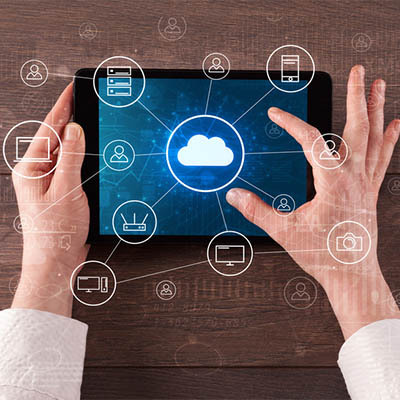 Cloud implementations are happening at a staggering rate, but for the organization that wants control over their most sensitive data and needs it to be accessible, rolling out a hybrid cloud platform is a solid strategy. As a full-scale private cloud is costly to put together and maintain, a public cloud transfers most of those costs to the cloud provider. The issue is that companies don’t always trust public options and that knowing where to put your data and how to handle the file sharing and collaboration process often determines how effective a cloud solution would be. While enterprise file sync and share platforms are becoming more secure by the day, some business owners and administrators simply can’t stomach that one of their biggest and most lucrative assets is hosted, managed, and maintained by another company. So, in order to roll out an effective hybrid cloud platform that works for a business, IT administrators have to find a way to seamlessly integrate the public and private cloud resources that they utilize. By doing this it will give the scalability that they are looking for while still having control over the data and applications. Once the hybrid cloud is in place, however, its benefits will be immediate. So, while i may take some time for the organization to recoup the expenses they paid out, the amount of productivity and efficiency the hybrid system provides will move business along faster, producing more revenue, and ultimately more profits. Many industry experts believe that the migration to a hybrid cloud solution is inevitable for every business. The biggest variable of seeing a rapid ROI from a hybrid cloud implementation may just be a doing a stringent ROI analysis of the implementation itself. In a study performed by Unisys, 44 percent of survey respondents who conducted a thorough ROI analysis lead them to do things that caused them to save money on the implementation. Cost savings were found in several facets of the project including disaster recovery, system agility, storage efficiency, and continuity. One technology that most businesses have in some way is a wireless network. With nearly everyone coming to work with a smartphone in their pocket, every organization has to have a way manage what they do with those devices. If they can implement a solution that leverages these devices for its own benefit, while simultaneously eliminating the enormous risk that comes with allowing strange devices (and data) to gain access to the organization's network, it would mean eliminating risk and providing additional constructs available for users to complete tasks. With users having a long track record of misusing their devices on other people’s wireless networks, it is important that every organization at least consider BYOD policies as protection against that malignant behavior. When administrators try to determine the value a bring your own device policy will bring to an organization they have to start with variables like the total number of devices that are expensed through the company, the amount of total devices, the cost of the mobile management software that will be needed to manage all the network attached endpoints, and how much they can see in employee improvement both in the amount that they work and their ability to be more efficient and collaborative. To keep your staff (and visitors to your business) from running roughshod over your wireless network, building a comprehensive BYOD system that includes mobile device management capabilities with integrated access control can work to improve security, business efficiency, and productivity. In doing so the BYOD platform will pay for itself with the uptick in generated revenue, as long as it is managed properly. Implementing technology solutions to your business’ problems can be extremely expensive but knowing how to maximize your organization's profitability with a solution will go a long way toward configuring it in a way that will not only work for your company, but will mitigate risk. The IT professionals at Strata Information Technology make a living managing projects like this for companies just like yours. If you would like more information about implementing technology strategies that works for your business call us today at 888.678.7282.